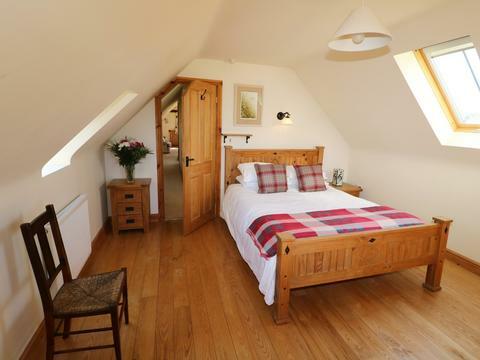 Hilltop Barn and Hilltop Cottage both provide you with a lovely base for business or pleasure (free WiFi throughout) Superb views over the escarpment, underfloor heating in barn. 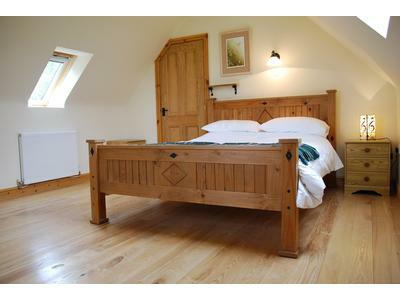 Downstairs bedroom with wet room in barn.Two properties for up to 8. Internal use of space has been optimised to enhance the open design. Solid oak beams on the two gable ends give the property character. 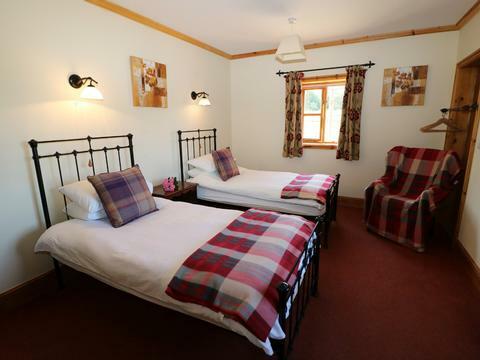 The three bedrooms are uncrowded, the fine king sized bed in the master being possible by avoiding a bulky wardrobe and instead providing a fascinating horse harness hanging system; ample for most people for a few nights' stay. The shower room is fully tiled and has a high quality quadrant shower installed. It adds quality to the experience for the adjacent master bedroom. 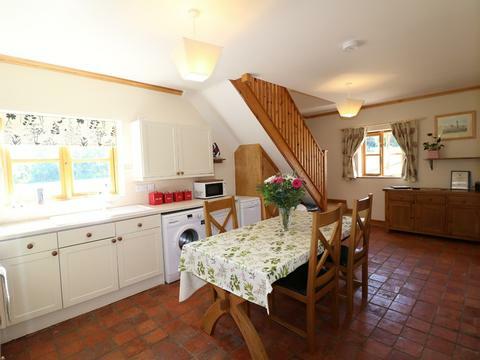 The kitchen is substantial and more than big enough to cater for six and the occasional family visitor. The decking ramp access to the entrance door is a feature which makes disabled use practical as well as being an attractive feature in all weather giving complete covered access to the front door. There is plenty of space for parking a car or a van, which is well off the public road and secluded. The whole paddock area is bordered by hedges and trees but they are set well back and give a wonderful feeling of landscaped space. 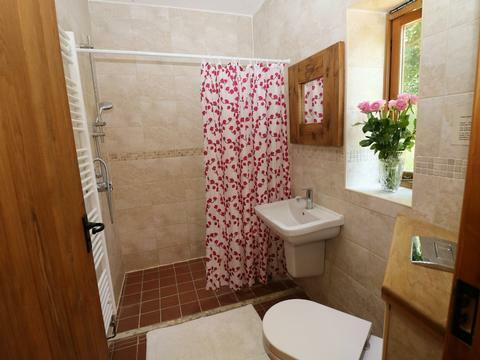 We have added the superb extra facility of a twin bedded en suite wet room, which is fully integrated with the rest of the property. It is also designed for the less able bodied or wheel-chair visitor. 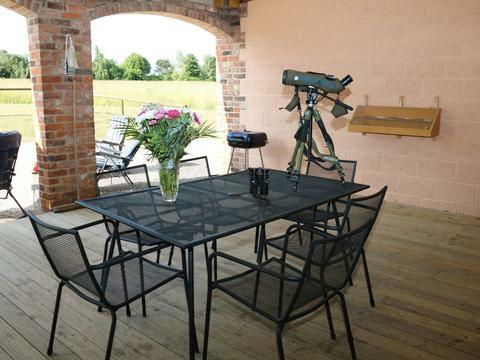 This is a Lincolnshire rural retreat close to Lincoln but is very accessible to Newark and especially the Showground, which is only fifteen minutes away. Booking is usually Friday start but can be flexible outside high season. 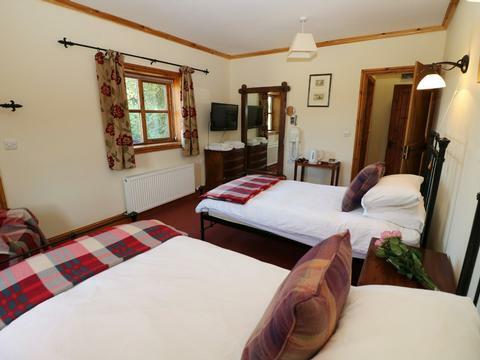 The lovely properties can be booked separately or together to provide accommodation for up to 8. Children of all ages are very welcome. We can provide a cot and high chair. Pets are welcome in Hilltop Barn. It really is a great area for them to take walks without having to get into fights with other dogs! There are none! 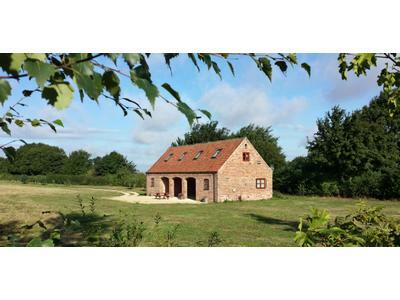 Hilltop Barn is in a superb location for both business and holidays. The design, using 19th century bricks and pantiles is aesthetically pleasing and the siting is the result of a lifetimes intimate experience of the area. 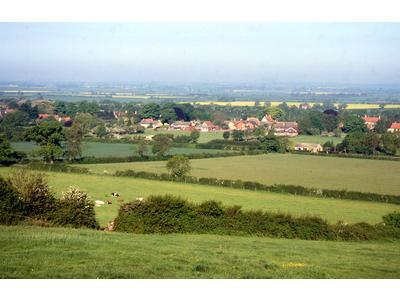 Views from the escarpment are exceptional, especially in the morning, when a vista of many miles towards the Sherwood Forest area can be enjoyed. The barn is designed to the highest modern standards of eco efficiency. 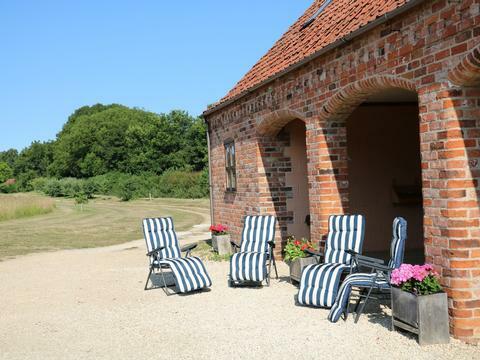 It offers an unusual covered courtyard under the barn bays, which enables enjoyment of sunshine throughout the year, whilst being protected from the wind. The unobstructed southerly elevation means mid winter sun floods right into the outside sitting area and when needed desirable shade is offered in summer. 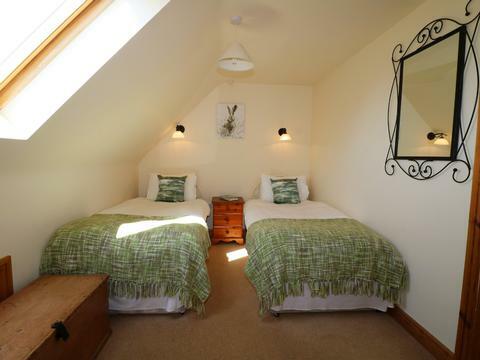 Hilltop Cottage allows you to enjoy a very cosy and private retreat for a couple. 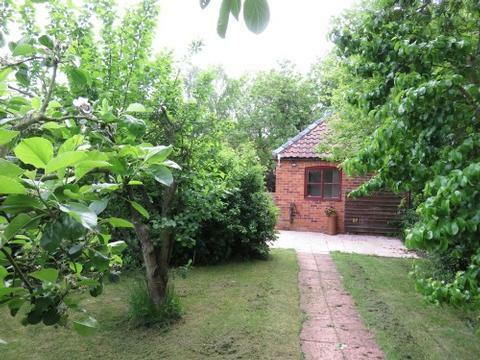 It has its own patio and orchard and is very secluded. 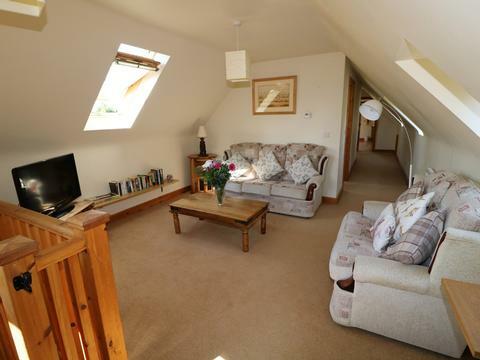 The superb views are even better enjoyed from this nearby location and it is surprisingly spacious for a single bedroom cottage, with a substantial diner lounge and separate bathroom. 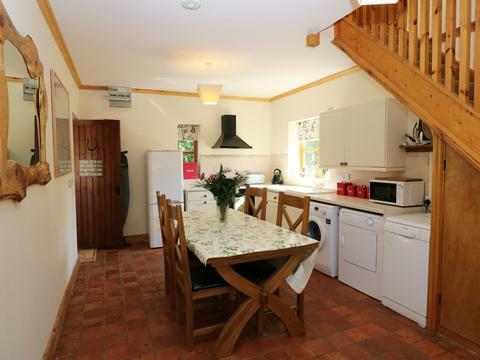 Both properties are supplied with free WiFi and dogs are welcome in Hilltop Barn. 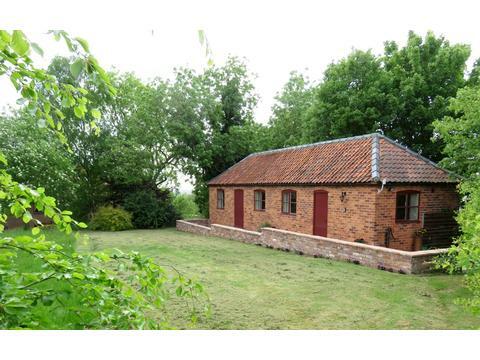 The Lincolnshire Environmental Award was made for the development of the conservation value of the farm in the immediate vicinity of this ideal holiday property. There is an abundance of wildlife and excellent wildlife walks are on private land. Contact Charles Peter Overton for Enquiries and Availability.